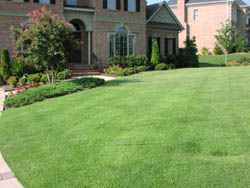 This web site was designed to give you all the information you need to plant and maintain a bermuda grass lawn. 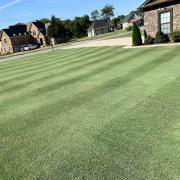 Bermuda grass is one of the most popular warm season grasses grown across the Southern part of the United States, yet information can be hard to obtain on how to properly maintain the beautiful grass. Bermuda grass is not only used for lawns, but it is also used on sports fields, golf courses, parks, cemeteries, and many other applications. It germinates and establishes very quickly making it one of the most popular grasses where a quick, green turf is desired. There are many varieties of bermuda grass in hybrid (sod, plugs) or seed form. 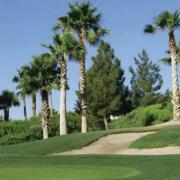 Hybrid Bermuda grasses have a dark green color, fine textured leaves, and are tough and durable. They are low growing resilient turfgrass that are highly tolerant to heat, drought and heavy traffic. They are ideal for homes with full sun, pets and children, since they can take abnormal abuse and recover from the damage. Other applications are found as the preferred sod for athletic fields, parks and recreation areas. They are not shade tolerant at all and look best when mowed 1" tall. Hybrid bermuda grass varieties typically begin with "tif" or"mid." Hybrids are usually available in sprigs, plugs, or sod. Seeded bermuda grass varieties are not hybrids with the exception of Princess 77. Princess 77 is an upper end bermuda grass that can be used for home putting greens or where a very dense, and low mowed turf is desired. Princess 77, Riviera, and Yukon are three of the more elite bermuda grasses available from seed. Note: The last characteristic of bermuda grass is poor shade tolerance. 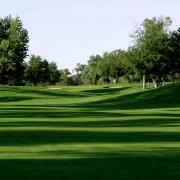 If you have shade, bermuda grass is not the grass choice for you. St. Augustine or zoysia grass are more shade tolerant than bermuda grass.